Magnetic Sand Timer | A fun twist on the classic sand timer! A fun twist on the classic sand timer! Watching time pass you by doesn't have to be a monotonous task. Whilst your normal hour glass lets the grains of sand flow and rest at the bottom, your Magnetic Sand Timer creates quite a different picture and can create a really neat desk toy for visitors to marvel at. With the Magnetic Sand Timer, the filings are magnetised by the base and come together to form uniquely chaotic shapes as they fall through the timer with each turn of the glass! Without the base, your Sand Timer will work just like a normal hourglass, but put it on the magnetic base to create a different magnetic structures each time! Dimensions: 13cm tall x 8cm wide (including base). This was the perfect gift for my workplace "Secret Santa" event! 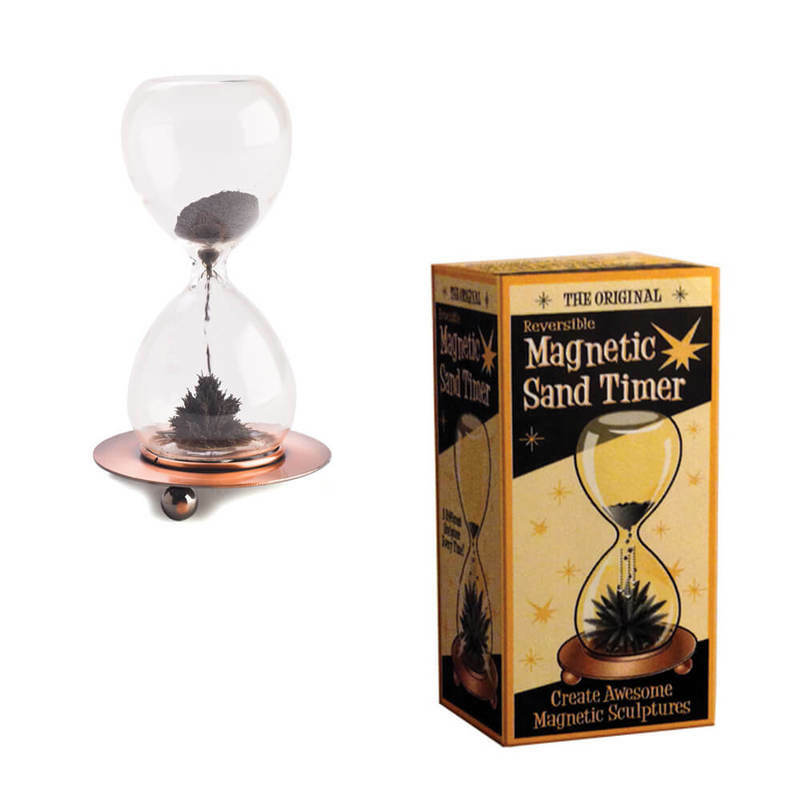 A solicitor is hard to buy for at the best of times, but she absolutely loved the magnetic sand timer! Service from Cool Things is awesome. The Magnetic Sand Timer is 30 seconds. The picture is what you get. It is fun to play with for a couple of minutes, more fun for "desk/office visitors". The glass feels strong enough for the job but it is not for young kids. The glass is real glass. The magnet is so strong the timer will not tip over once the iron has flowed through to the bottom. There is nothing wrong with it but it is not amazing either. The item was as described and delivery was fast and efficient. I thought the postage could have been a bit more reasonable, but all in all was satisfied with the service.